Gulliver Garage Doors Ltd is a full service garage door repair and installation company in Morinville, Edmonton. Our garage door specialists are committed to providing exceptional customer services and quality work that you can rely on. We offer a variety of garage doors, including steel garage doors, insulated garage doors, wooden doors, and much more. Our professionals are fully insured and licensed and have years of experience in residential and commercial door installation and maintenance. We make sure that we are here to help you when you need us the most. Garage doors can break at the most inconvenient times. Which is why, our professionals are available 24 hours a day, 7 days a week for emergencies. Our garage door technicians are competent to handle any type of door issue that you might encounter. Our service trucks are fully stocked and ready for immediate dispatch across Morinville, Edmonton. We know what it takes to repair or service a garage door right the first time. Why Choose Gulliver Garage Doors Ltd in Morinville, Edmonton? Gulliver Garage Doors Ltd is your expert garage door replacement, installation and repair company in Morinville, Edmonton. 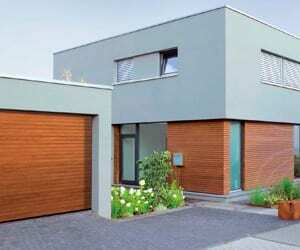 We can recommend, install and repair a variety of garage doors and garage door openers to suit your style and needs. We treat our clients and their properties with respect. No garage door service job is too big or too small for our talented technicians. Our staff understands the importance of your garage door working efficiently every time you use it. We always provide quality products from Clopay, Liftmaster, Genie, Wayne Dalton and many other leading garage door brands. Our garage door technicians in Morinville, Edmonton use high grade parts and tools for your garage door repair needs. We ensure you get the most efficient service possible every time. If you find yourself with a garage door problem in Morinville, Edmonton, give us a Call +1 (780) 885-5033.